I generally try to work during the following opening times - however if you have a very urgent need for treatment "out of hours" then please phone me to see if I can help. 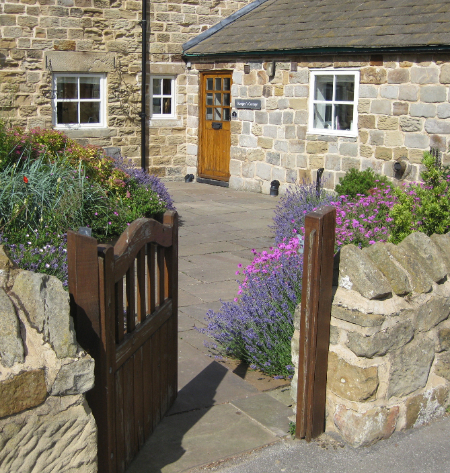 My clinic at Keeper's Cottage can easily be found off Edderthorpe Lane, which is just off the main A635 Barnsley to Doncaster Road, near Darfield. From the main road (A635) turn into Edderthorpe Lane (signposted to Cudworth). Go up Edderthorpe Lane and just after a narrow, tree lined section the turning for Low Farm Court will be on the right hand side. Take the Darfield Road / Storrs Mill Lane south from Cudworth, towards Darfield. Stay on Storrs Mill Lane, and it shortly becomes Crook House Lane. At the point Crook House Lane becomes Edderthorpe Lane there is a slight right hand bend in the road, with Ash Tree Stables on the right hand side. Follow the road round a left hand bend and Low Farm Court will be on your left hand side. Please note that Storrs Mill Lane is a very narrow road with fast traffic and blind bends! It is probably easier and safer to take the A6195 Park Springs Road south to the A635 and come via Darfield. Parking is available up by the house. Prior appointment required.